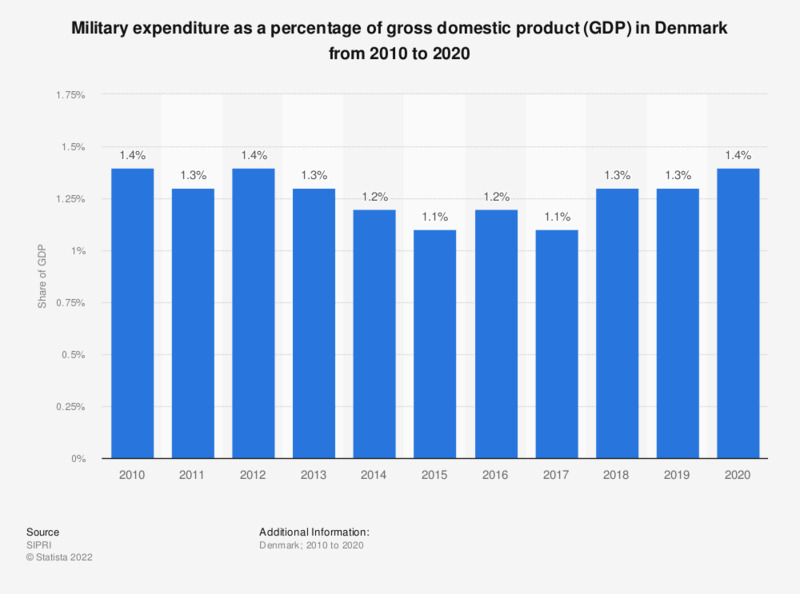 This statistic displays the military expenditure as a percentage of gross domestic product (GDP) in Denmark from 2007 to 2017. As of 2011, military expenditures accounted for 1.3 percent of GDP in Denmark. The GDP in Denmark amounted to roughly 2,027.17 billion Danish kroner in 2015.